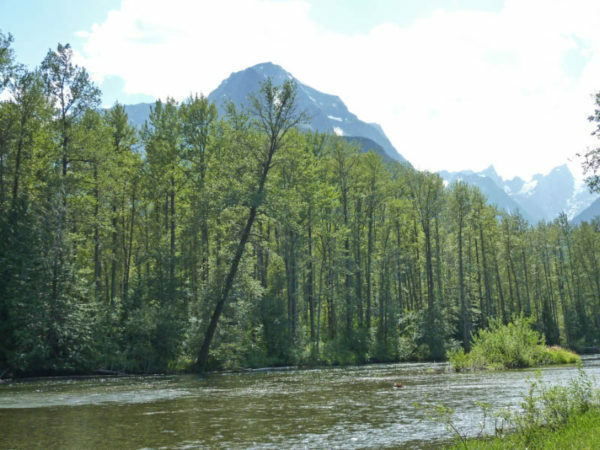 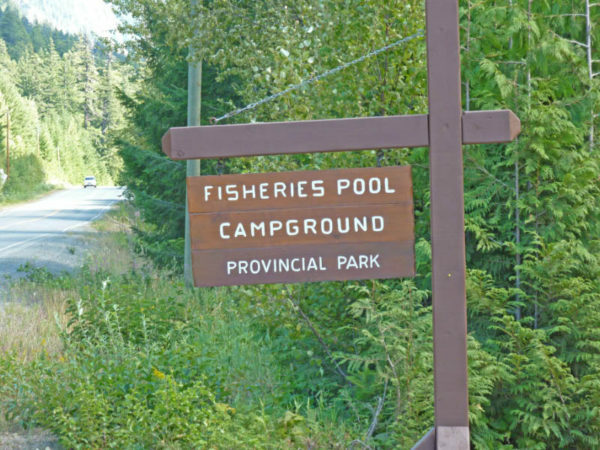 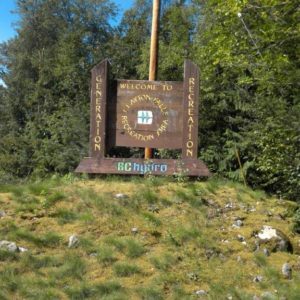 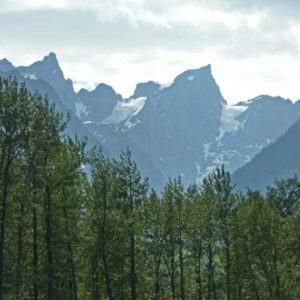 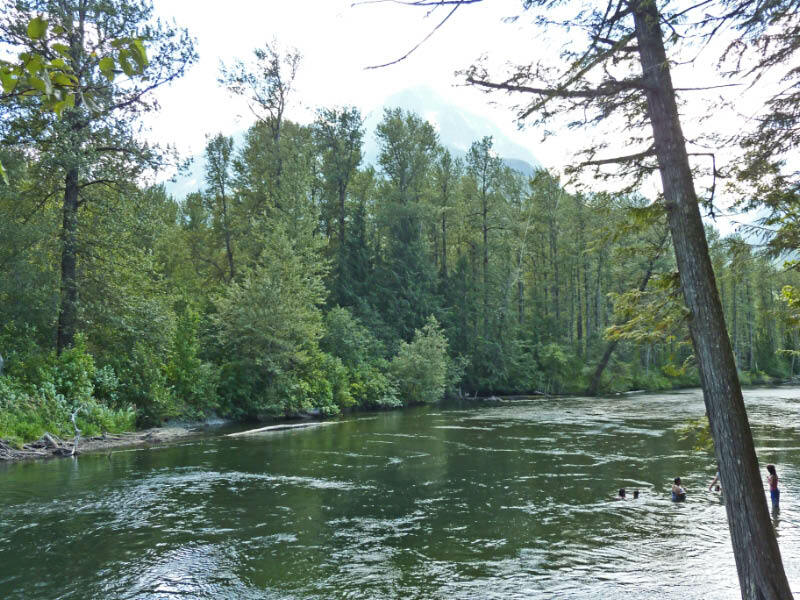 The Fisheries Campground is located in Tweedsmuir Provincial Park located on Highway 20:approximately 400 kilometres west of Williams Lake, midway between Anahim Lake and Bella Coola. 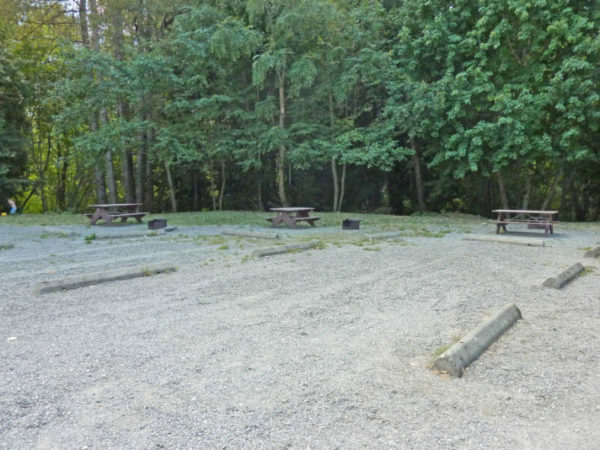 There are no advertised or designated accessible camping features at Fisheries Pool campground. However 9 RV/trailer campsites, the shelter, and the trash receptacle are already fairly accessible. 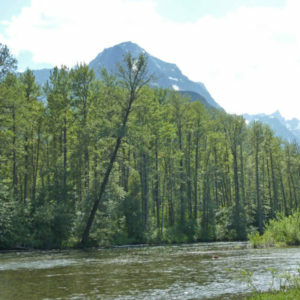 The main features of this campground are a small beach and a popular fishing area. 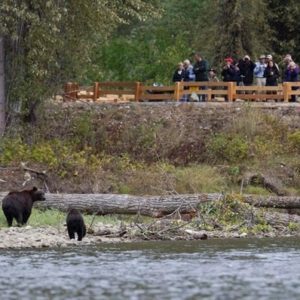 These are not at all accessible and the route to view these areas is blocked by large strategically placed rocks (less than 1 metre apart). 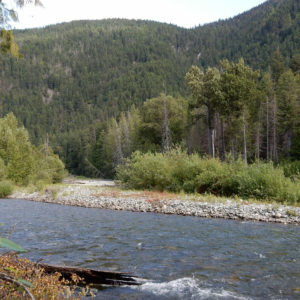 Atnarko offers 15 campsites nestled amongst an old-growth forest (on the Atnarko River at the bottom of “the Hill”); while Fisheries Pool, (situated near Stuie and the site of an old fish hatchery run by DFO), attracts lots of anglers to its 9 high-density open campsites and 2 tenting campsites. 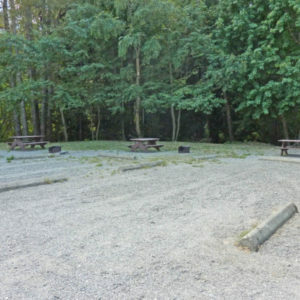 There is parking available for extra vehicles at the Atnarko campground but not at Fisheries Pool. 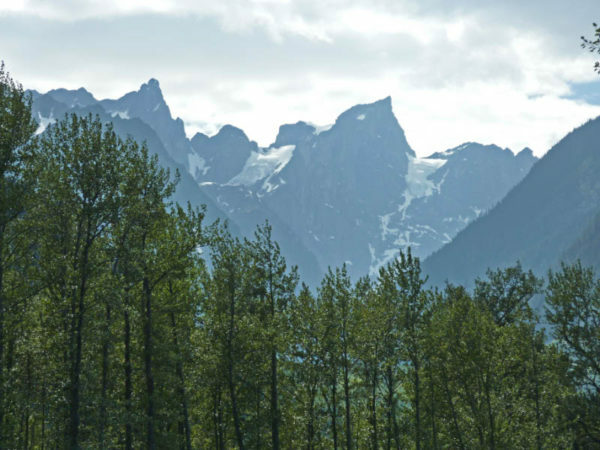 It is often difficult for big rigs to turn around when the park is full. 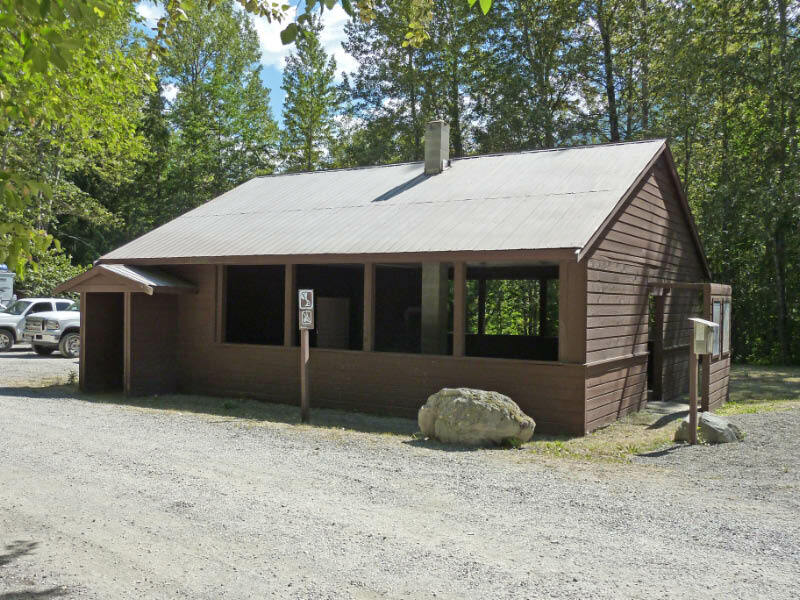 Both facilities contain water, firepits, tables, firewood and accessible pit toilets.